You are here: Home / Action / Do You Want a Free Debian Book? Read on. And there are AddThis widgets in top of each page. Eva, yes it’s the bare minimum, I was thinking more of features like forums where supporters can discuss the project, the possibility to mail all supporters during the campaign, to give news about the progress on the project page, etc. I might have missed some of those and the fact that you can’t browse the hosted projects doesn’t make it easier to get an idea of what can be done. I’m been using Debian Lenny since March 2009, in Puno-PERU. I am a teacher at Glorioso San Carlos high school, where we migrated totally to Debian GNU/Linux. Our students from 11-16 years old use Debian and we won a lot of recognition from Ministry of Education. I’m interested in your iniciative, because our free software community is producing books and we need some kind of funding for continuing producing. I would be very happy to contribute with a donation and after gathering the nedeed money, you can offer the book for free to everybody around the world. 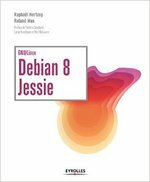 The Debian book is strongly needed for all newcomers, because free things – best things! I hope you all get the book and still come out. It is necessary to the community. It’s realy good idea to translate the book into English. 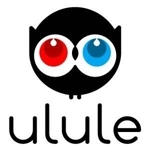 I think it will be very useful for all people who prefers OpenSource. This would definitely be a help to current and prospective Debian community members. And in the spirit of the Debian project and the FOSS movement as a whole, I’d love to see this released under free licensing (hopefully with e-book options as well). Have you considered translating this in a bazaar-style manner to reduce your workload? That is, open up the translation effort to anyone who can contribute their time–perhaps using some version control system, wiki software like DokuWiki (stores content in plain text files, which may help in compiling a final manuscript), or something like Google Docs? PehJota, the french version is not available freely so it can’t translated that way. Furthermore I want the result to be of high quality and having lots of translators is usually a bad idea if you want the document to be in a consistent style. Is this moving forward? I would not mind pledging money to support it. Hi Wes, yes, expect something in the first few months of 2011. I am a FR/EN translator (PT and ES to EN, as well, and, of course, a Debian user), and would be honored to participate in the translation of this book. Finally, can we fund this book one way or the other ? Can you tell us where/how ? Bests, and thank you so much for all the good done to Debian and FLOSS. Silopolis, I’m late, I know. The fundraising should start within 2 months hopefully. I’ll post a new article when it’s live. I am searching for a Debian Squeeze book, I would like to donate for a hard copy… I hope it will be something that explores Debian, rather than installing Debian. I can dream the installation, but have to search for more knowledge about Debian… And it is hard to find. Like kernel compilation, administration, setting up a NFS server or e-mail station. All the best from the Netherlands/Europe. And hope to read your work soon. any update about this project? I’m interested in donating. Hi Leonardo, I just finished a big work project and I shall update my French book for Squeeze. Once that is done this translation project will start. Just subscribe to my newsletter and you’ll be informed in time!